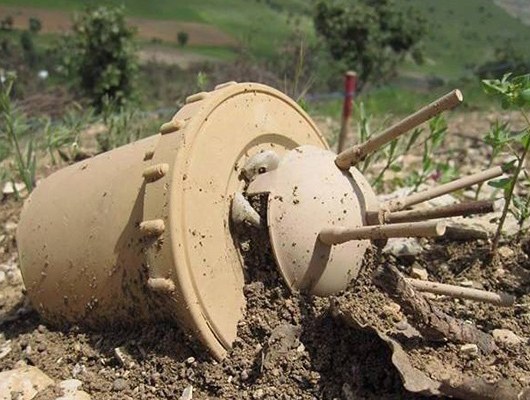 The explosion of a land mine remained from the Iraqi imposed war (1980s) killed and wounded three little children who were playing in Sardasht, a town in northwestern Iran. An official in Sardasht told IRNA that the child was an eight-year-old boy. The boy was playing with his two friends when they found a mine and started playing with it, Mir Ashkan Mahdavi said. Because of the explosion, Mohammad Eliasi was killed on the spot and two other boys were injured, Mahdavi said. The mine had been moved to Sardasht due to the soil erosion and rainfall, he noted. The event is the second of its kind since the beginning of the Iranian calendar year on March 20, the official said.